You're witness to a shot being filmed during the making of Thr3e, an innovative film concept with three different story segments. Depending on which segment you chose—film noir, action or horror—the story differs along with the view experience. Segments are filmed in such a manner that they intersect with one another to entice viewers to enter the other story realms. 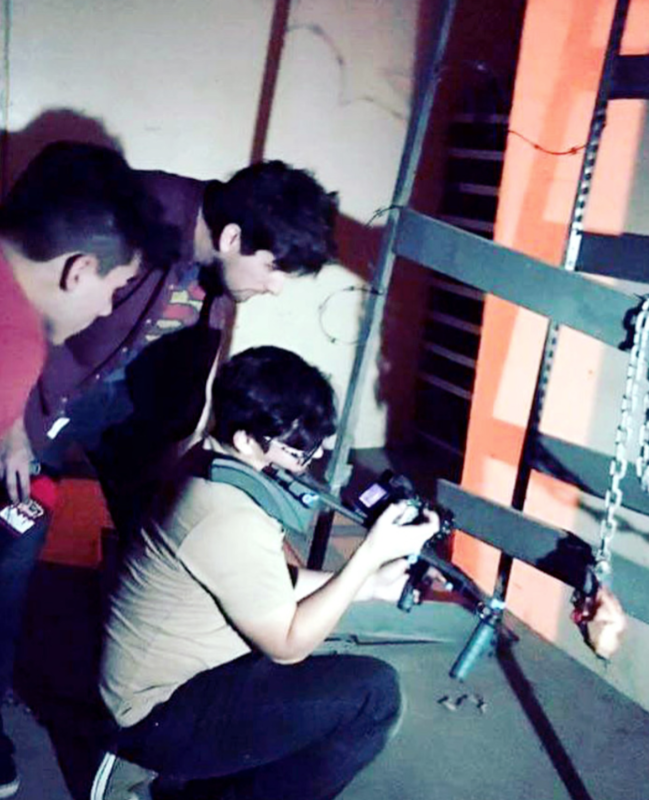 In the photo above, Jake Turocy, (Game Art & Animation and Digital Video), Paul Lopez (Digital Video) and Israel Arellanes (professional actor) film "Insert shorts" for the horror segment using the Sony a7s and Redrock Micro shoulder rig. What are they pointing the cameras at? Something that eerily resembles human flesh. For inquiring minds that want to know more: The first scene in the film shows three villains plotting against three heroes, one in each segment. You can choose which storyline to follow to being your experience. Select only one segment, or enter all three. Thr3e is the Student Innovation Project for Jake, Paul and two other UAT Digital Video students Tony Bonano and Alex Fillicetti. Video storytelling is a powerful medium that's rapidly growing in many fields today. Create your digital arts story with a degree in Digital Video, Digital Media or Web Design.